A wonderful read. Not just murder cases in here -- there are also suicides, executions, domestic violence, shipwrecks, a spot of canniballism, and even sea monsters. Very much like CRIMES OF HORROR, but the stories are much older as a rule, and there are many more items about animals attacks, including a remarkable number of gorialla stories. 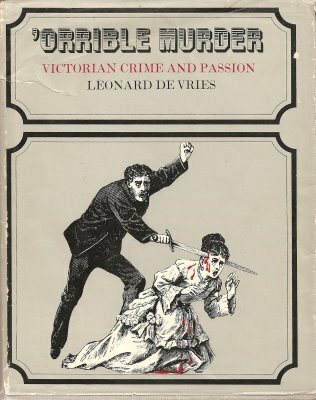 Illustrated with the original Victorian engravings used in the tabloid the authors compiled this book from, "The Illustrated Police News." Not to be missed. A compendium of news articles from trashy Victorian tabloid The Illustrated Police News, covering all the most shocking crimes and curious cases of the day. This book sickened me, but I still read it cover to cover in the space of a day. Then had nightmares and uneasy thoughts.